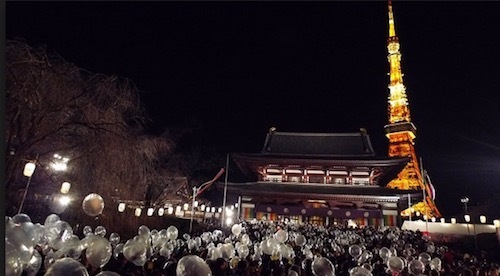 ■What did you do on New Year’s Eve and on New year’s day? I went to my husband’s hometown which is Fujisawa and visited my favorite temple – Hase Temple. I like this temple because of the Hase goddess who is known to listen to the prayers of women. I find it very fascinating. On New Years Eve, I was in Montreal, Canada. 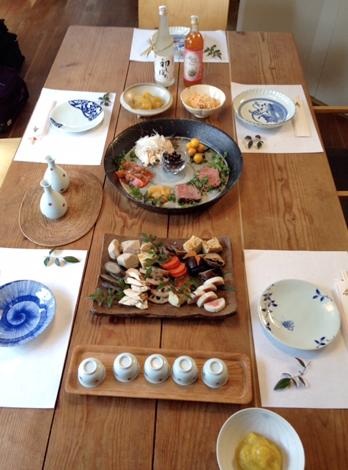 I went to a friend’s home for dinner. She cooked a delicious beef roast and her husband served very tasty French red wine. The last subway train in Montreal is at 12:30 AM, so my friend drove me to the subway station at 11:45 PM. When we arrived at the station, it was exactly 12 AM, so we wished each other “Happy New Year”. I ate Toshi-Koshi Soba on New Year’s eve. 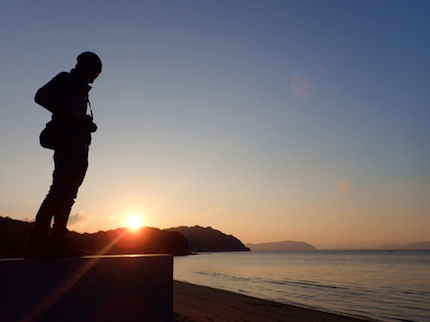 Woke up for the first sun-rise of the New year in Naoshima. Rented an electric bicycle and cycled around the many art sites and museums. Yakiniku for New Year’s dinner. 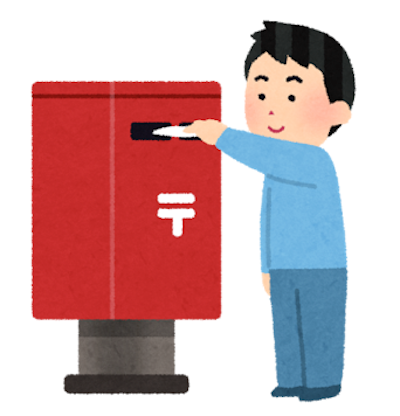 ■Have you ever written “Nengajyo”? or Are there any custom like that? I wrote Nengajyo once my first year in Japan. I sent them to some friends and family overseas to show them a little bit about Japanese culture. Unfortunately, I didn’t get any back! Most Christmas decorations usually stay up until after the New Year (especially the lights) . There is no specific decoration for the New Year. ■Please tell us your New Year’s resolution! 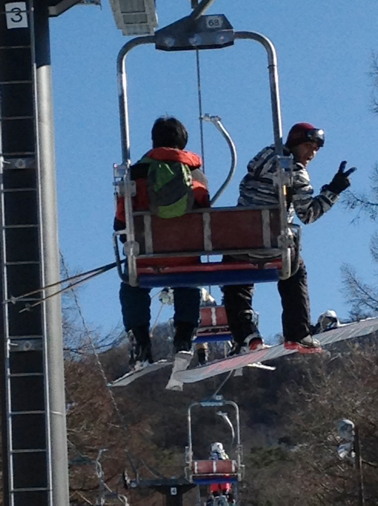 To make friends with Japanese people ! 1,to lose weight 2,to read more books 3,to quit online shopping. ■Please show me your photos from New year’s Eve and New year’s Day.